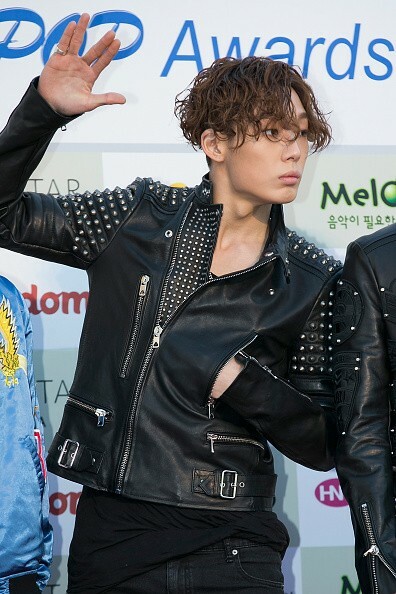 iKON member Bobby during the 5th Gaon Chart K-Pop Awards. Netizens recently uncovered evidence from iKON's Bobby's pre-debut life that show some surprising things about the singer. Fans got to know the singer more through old social media posts and photos. The photos and screenshots that narrate Bobby's social media presence before he made his debut were compiled in an online community post. The photos reflect Bobby's great personality and shows that even back then he was already a cool kid. The posts were usually taken during his trainee days, Koreaboo reported. Most of the posts were screen-captured from Bobby's personal Cyworld account. In one post, Bobby greeted his aunt a happy birthday and said he hoped she got better since she was sick. "I will pray for your continued health," Bobby wrote. Bobby further showed affection to his aunt, who lives in America, by greeting her again on Christmas Day. One post also showed how kind-hearted, gentle person Bobby truly is. He wrote, "I woke up today and I ate breakfast, showered and went to Church for community service, volunteer work. I later did some computer and it was night already." I addition, a photo showed Bobby helping out an elderly person carrying boxes on the street. Meanwhile, Bobby' song "Holup!" served as the background music for the trailer of HBO series "VICE" Season 4. Also, iKON will make a comeback this year together with WINNER. According to allkpop, iKON's comeback will come after Akdong Musician's January 2017 promotions. The exact release date of the album as well as the concept were not yet revealed. YG Entertainment received backlash earlier this year after fans complained about WINNER and iKON's lack of promotional activities. "You may not see them much in Korea, but iKON has become veterans in performing after building up their experiences through a 6-month-long Japanese tour, much like Big Bang," Yang Hyun Suk said in response to the rumors.